Welcome to Grimpixel. 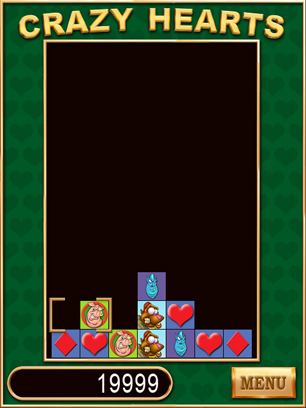 There are new 3D updates for your viewing pleasure, as well as screen shots from my latest 2D game "Crazy Hearts". I added a link to my blog, new sketches, and much more. Enjoy! Crazy Hearts started out as a simple exercise in learning the (C++) ClanLib 2D engine. It slowly evolved into a game project. I love to take on this kind of challenge and get out of my comfort zone. I am close to wrapping up game development, and I will be releasing a version very soon.